A Filipino romance-drama television series Princess and I was shot in our country Bhutan and will screen from 16th of this month on ABS-CBN. The series starred some of the most sort-after Filipino celebrities decorated in best of Bhutanese costumes. I have learned their costumes were selected by Pila Wangyel (Congratulations man).I am yet to know what the story is all about, but from the little I could grasp from the YouTube trailer- the princess of Bhutan (strangely Bhutan is called the Kingdom of Yangdon), who grew up in some place away returns home and finds the love of her life. It seems, she also discovers who she really was during her journey home. This series shall remain on the top of my wanna-watch list, and I hope it finds its way to Bhutan soon, like the princess and give us a break from ordinary Bhutanese movies. Update October 2012: I am receiving thousands of Filipino visitors on my blog looking for information about the actual Kingdom of Yangdon. The king in Princess and I is very handsome but not as handsome as our beloved king, and we have the most beautiful queen in the world. She was crown as the queen of Bhutan on October 13 2011 at the age of 21. If you are interested in visiting Bhutan or the Kingdom of Yangdon as you know it, you could discuss your intention with Bhutan Crown Adventures. They will arrange your tour to Yangdon. Bro not Designed.lol.selected & Supplied actually.ha ha. At first, when I was watching this trailer a week ago, I thoughtI am dreaming. I couldn't believe my eyes. I watched again and again and started browsing all over and later did I know that it was a Filipino movie shot in Bhutan. Then I realised that our country is still a fairy land for other countries. I am glad I live in fairly land, in paradise with Kings and Queens. Lets see what this movie has to tell about Bhutan and its landscape. Even I am so excited and can't wait for the movie to release. Dear Bing and other friends from Philippines, There is no Kingdom called Yangdon, they just regarded Kingdom of Bhutan as Kingdom of Yangdon in their series for some reasons. Except for the name and the story, all the rest you see on screen are Bhutanese- the land, the structures, the dress,- O, the language we speak is Dzongkha and NOT English. Hey, thanks for this post. I am a Filipino and I thought my countrymen will be making a tragedy with this kind of TV show. But it opened my eyes to the beautiful country of Bhutan and I can't help but say that you are one of the most blessed country in the world. Well, they named it "Yangdon" to place it as a fantasy kingdom for the Filipinos. But the producers has continually given us information about Bhutan and why it was chosen as the basis of this fantasy kingdom. Your culture is very rich and beautiful as several scenes in the show depict your traditions. Originally, our actors learned Dzongkha to give us the real feeling of being in Bhutan and put subtitles for us to read but the TV station later decided on dubbing the conversation of the "Yangdonese" into English. But there are still instances that Dzongkha is heard and when I hear it, I feel like hearing a beautiful chant in a temple. They even tried to depict the king of "Yangdon" in the likeness of your King and selected an actress that can be, as our local news say, mistaken for a Bhutanese. Thank you for the information on the evolution of word "Yangdon", its going to be more exciting to watch it. I hope this series creates a very good relationship between the people of two Countries. Since you find our country fascinating I would like to welcome you and your girlfriend to find out how the fantasy kingdom looks like. I assure you that everything here will amaze you except the tourist fee, which is US$ 250 per day. It's amazing endeed to watch the Princess and I drama and the Kingdom of Yangdon/Bhutan. I love the story and the place called Yangdon/Bhutan. I wish I could visit this beautiful kingdom soon. Dandy, you could visit it, but you should keep your expectations low because Bhutan may not be as beautiful as the movie portrays. Keep in touch. Please post more!!! I love Yangdon kasi!!! Hi! 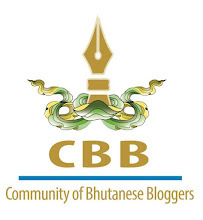 Do you have any contact with filipino community living in Bhutan? Hope to hear feedback the soonest.Thanks. Jay Ann Matuguinas, I don't know about them. But when they were making the movie my friend Pila was involved, so try getting in touch with him. Here is his Facebook profile: "link:https://www.facebook.com/pila.w.gyaltshen?fref=ts"